Old Holland has been synonymous with quality oil colors for more than 300 years. They took their time developing a line of brushes worthy of their oils and really got it right! 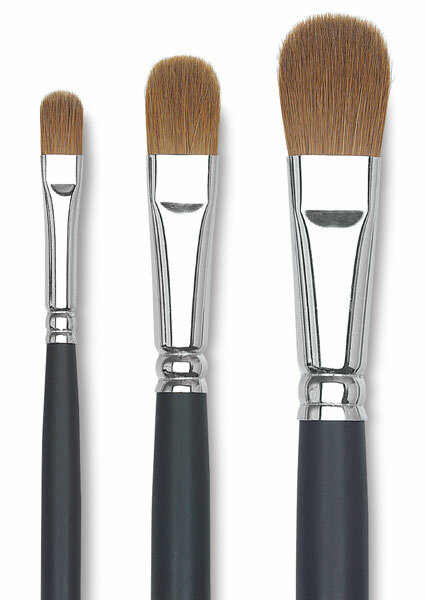 Using a special blend of the finest quality Russian Kolinsky sable, the head (shape) of each brush is handcrafted by experienced, world-class brushmakers to the exact requirements of master artists. Each brush is put through extensive trials over many months. Heads are then firmly attached to seamless polished nickel-plated ferrules. Silver-tipped, finely balanced matte black hardwood handles augment the distinguished look and feel of these magnificent tools. Experience the firm feel of very full Kolinsky hair brushes, the superb shaping of the heads, which come to an excellent edge and/or point, and the luxurious softness of only the finest hair.